Founded in 2005, the organisation Kahuza e.V. in Halle (Saale), Germany, helps children and young people from socially disadvantaged families. 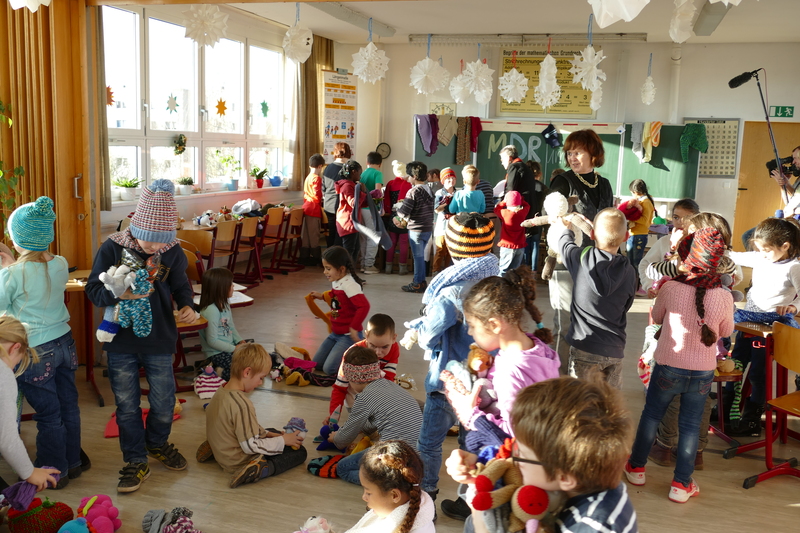 In the organisation’s house, the children can have a free warm meal, get help with their homework or take part in different extracurricular activities. All of this is free of charge. During the past years, Kahuza has organised different projects to support and nurture children and young people, all of which are financed only thanks to donations. This is also why the organisation needs any help from outside including donations of furniture, clothing, etc., financial donations or helping hands. Charity Cat made a first donation in March 2018. A financial donation followed soon after. Charity Cat’s first donation consisted od a couple of boxes filled with children’s clothing, shoes, balls and bags. The second one was a financial donation, which was already used to purchase a table and chairs for the smallest children.